Located within Copenhagen’s city center, a new housing development challenges traditional urban form, while offering new possibilities for shared collective space and sensitively-scaled infill development. 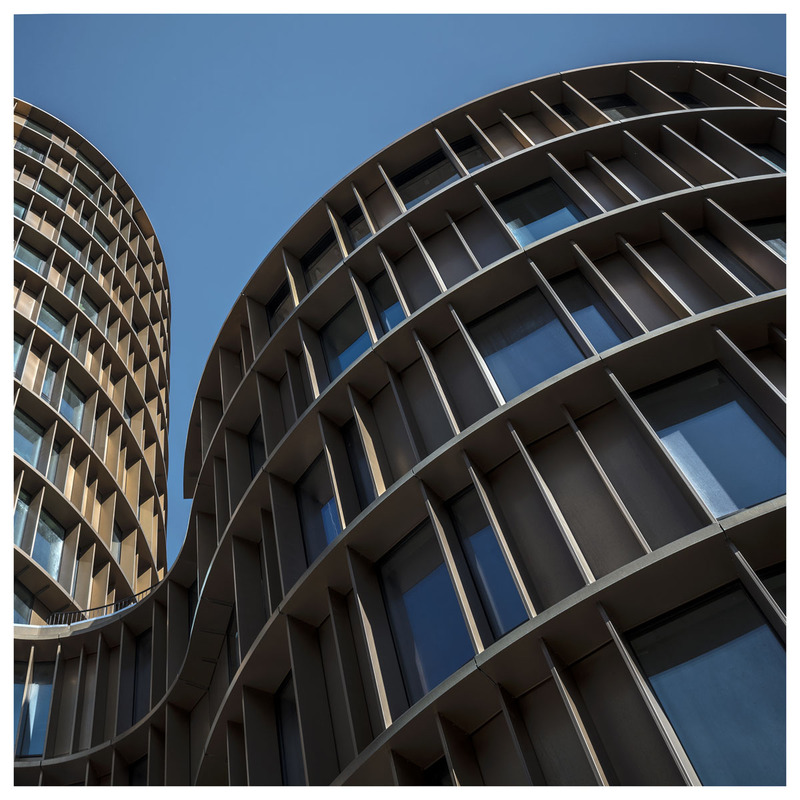 Designed by Lundgaard & Tranberg Architects, the Axel Towers are a collection of five circular mid-rise buildings, named after their block “Axeltorv” which occupies a site nestled between prominent medieval and contemporary districts. The redesign of the site, also by the architects, resulted in locating public outdoor space between the towers. This distributes an open and inviting building, with entrances to shops, cafes, and restaurants throughout the perimeter of the building at both the ground level and an elevated “city garden.” “As the project architects, architecturally and in regards of urban transformation, we do believe to have achieved a lot with Axel Towers.” said Michael Kvist, architect at Lundgaard & Tranberg Arkitekter. “Having public functions incorporated is very important to generate and support city life in and around the building, and fulfill the vision of creating a new positive identity for Axeltorv and the surrounding area." 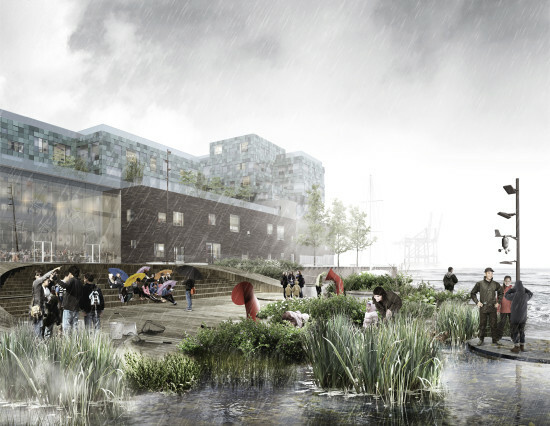 The Bjarke Ingles Group (BIG)-designed Amager Bakke Waste-to-Energy Plant in Copenhagen is finally set to wrap up later this year, and international firm SLA has revealed their final plan for the plant’s 170,000-square foot rooftop park. First revealed in 2011, the biomass-burning plant, with its ski slopes on the roof and a smokestack meant to belch ring-shaped clouds, instantly caught the internet’s attention. Amager Bakke is seen as major step in Copenhagen’s transition to a carbon-free city, as the plant will burn wood pellets made from rotting waste wood instead of coal. Because Amager Bakke is off the coast of the city center, BIG chose to approach the project as both a publicly accessible common area and a tourist attraction. Clad in a perforated aluminum façade that resembles oversized bricks, the power plant is 289-feet at its peak near the smokestack, but gently ramps downward to meet the ground and provides pathways for both walking and skiing. While the renderings released up until now have typically shown skiers tearing up snowy slopes, SLA has released renderings of how the roof will be planted in warmer weather. The extreme angle of the roof, combined with the building’s height, and temperatures reaching up to 140 degrees Fahrenheit due to boilers under the roof, meant that the plant selection had to be carefully curated. Several distinct biomes are seeded throughout the roof, including a “mountain” and “meadow” area, trees to shield guests from the wind, and laid out hiking and jogging trails that run alongside the 1,640-foot long ski slope. A fitness area has also been placed alongside the viewing platform at the roof’s peak, which visitors can reach by either hiking, or by summiting the building via a climbing wall at ground level. SLA hopes that other than being used as a year-round recreation space, Amager Bakke’s green roof will seed the rest of Copenhagen with city-friendly vegetation. According to Rasmus Astrup, a partner at SLA, “The rooftop’s nature is designed to attract and shelter a wide selection of birds, bees, butterflies and insects, which in itself will mean a dramatic increase in the biodiversity of the area. And utilizing natural pollination and seed dispersal will mean that we can spread the rooftop nature to also benefit the adjacent industry area, parking lots and infrastructure.” Amager Bakke is also well known for its smokestack, which Bjarke Ingels originally envisioned as being able to blow a ring of steam for every ton of carbon dioxide that the power plant emits. Following a successful Kickstarter in 2015 to build a prototype of the system, the “steam ring generator” will be included in the final design. Construction on the rooftop park is underway and will be completed in September of 2018. 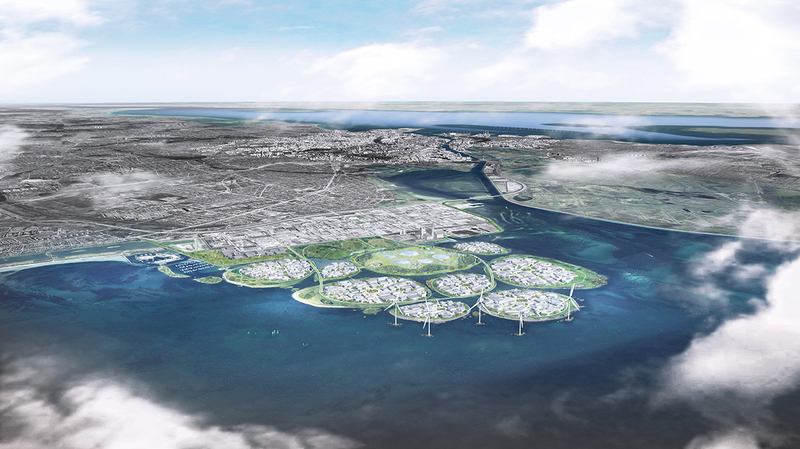 The capital of the happiest country in the world, Denmark*, will soon get a new multi-purpose waterfront development. 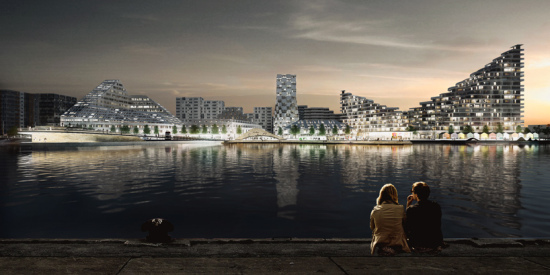 This week, Scandinavian architecture firm, C. F. Møller Landscape, won the “Nordhavn Islands” international competition to design part of the waterfront in the growing Nordhavn district, a harbor area in Copenhagen. 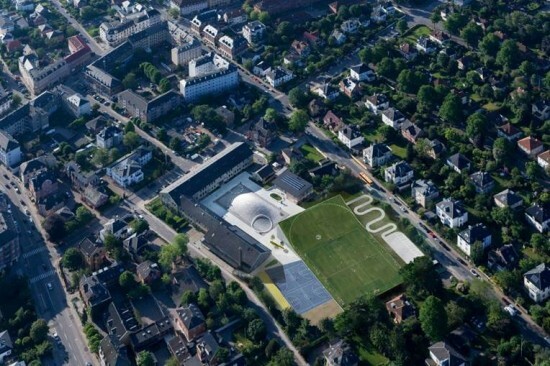 The firm’s project proposes “an innovative learning, activity and water landscape” adjacent to a planned international school (which C. F. Møller is also designing). Three floating classrooms would give students opportunities to learn outside, even fish and kayak. The design blends a range of concepts—the urban park, the educational classroom, and the recreational community center—right on the waterfront. The Møller proposal features three separate “islands” ringed with low-maintenance plantings: “'The Reef,’ a multifunctional platform for aqua learning and events in extension of the quayside; ‘The Lagoon,' a floating arena for activities such as kayak polo and other water sports, and ‘The Sun Bath,’ an actual harbor bath with a sauna and protected areas for swimming training,” notes the firm in a press release. "We are passionate about creating new urban and landscape spaces that focus on integrating building and landscape because we believe that it adds value to the project concerned and to the city as a whole,” said C. F. Møller head, Lasse Palm, in a statement. Nordhavn Islands and the Copenhagen International School—that will be the largest school in the city—are expected to open summer 2017. *The United States is ranked the 13th happiest country by the way, in a recent report that found correlations between the happiness of a country's citizens with gross domestic product per-capita, social support, health, and other factors. 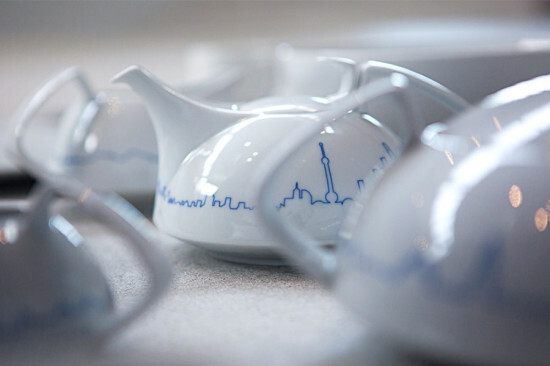 Architecture & Design Film Festival New York Through October 18, 2015 It's that time of year again. The Architecture & Design Film Festival is back with a roundup of films on architecture, design, and the built environment. It's a great way of taking the pulse of what's going on here and abroad, and how work is being represented to a wider public. https://vimeo.com/117273601 The films fall into two genres—by architect or designer, and by building. In the former, there is Concrete Love (read AN's review here), a beautifully made film by Maurizius Staerkle Drux about three generations of Böhm family architects, including Gottfried, the only German to win the Pritzker Prize. Ove Arup: The Philosopher Engineer, Henning Larsen—Light and Space, SlingShot about Dean Kamen, David Adjaye - Collaborations, and Talking to My Father on Irish modernist Robin Walker. https://youtu.be/hq-1BIaFjGc Talking to My Father is part of a subgenre of films made by the children of architects including Nathaniel Kahn's My Architect: A Son's Journey (2003) in searching of his father, Louis Kahn and My Father the Genius (2002) about Lucia Small's father, Glen. Whereas these two children were estranged, Simon Walker was close to his father and became an architect himself. He is now burnishing his father's legacy, recalling his apprenticeships with Corbusier and Mies, and trying to save his buildings. In SlingShot, Kamen is presented as more than just the man behind the Segway; he is an inventive spirit and problem-solver who is devoted to cracking big problems like clean water, and health issues—things we are running out of time to resolve. https://vimeo.com/61684753 The building-based films include Under the Skin of Design about the making of Ravensbourne (formerly the College of Design and Communication in London), the last building by Foreign Office Architects, Strange & Familiar: Architecture on Fogo Island, where architecture by Todd Saunders shapes a program by the homegrown Shorefast Foundation to enliven this remote Newfoundland Island whose economy had nose-dived, Modern Ruin: A World’s Fair Pavilion about the 1964 NY State Pavilion by Philip Johnson at the NY World's Fair (reviewed by AN here). https://youtu.be/MAPEioSNvDc The Infinite Happiness explores Bjarke Ingels' 8 House "vertical village" outside of Copenhagen. The film, which opened the festival, will give viewers a preview of VIA 57 WEST, the pyramid-shaped apartment building under construction on the far west side. Vignettes of mowing lawns, riding a unicycle, a children's treasure hunt, and a mailman offer glimpses of this self-contained world. An 8 House penthouse resident, Boris, who is originally from Bosnia, directly addresses Ingels: "Hello Bjarke. I think that... You are a madman. And that's with love. That's with affection. I think you created something of quality, something beautiful, something extraordinary... Is it living experiment? Is it social experiment? Is it just a product of the mad mind, extraordinary mind, a genius mind... I don't know what it is, but I feel privileged that I get a possibility to live (in) a place you built...Bjarke... I would like to borrow your brain, just a little." 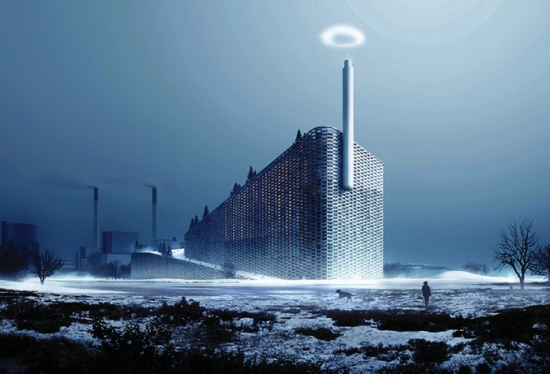 As if the ski slope Bjarke Ingels placed on top of his new waste-to-energy plant in Copenhagen wouldn't already make it the most interesting power plant in the world, the Danish architect wants the building's smokestack to puff smoke rings of carbon dioxide. Each ring will represent one ton of CO2 burned at the plant, which is being billed as the cleanest power plant on earth. Creating the world's first steam ring generator will be pretty tricky, but Ingels believes that with a crack team of combustion engineers and legitimate rocket scientists, and $15,000, he can prove that it's possible. As for the money thing, the starchitect, who recently purchased a $4 million penthouse in Brooklyn, would love for you to pitch in. Ingels has launched a $15,000 Kickstarter campaign to construct a third and final prototype of the smoke ring generator. Two smaller prototypes already proved to be pretty successful, so it's looking like Ingels and his team might actually pull this thing off. BIG is collaborating on this project with Peter Madsen's Rumlaboratorium and the Danish Technical University. "By sweeping nothing under the carpet, but rather projecting our carbon footprint onto the Copenhagen sky, we provide every single citizen intuitive information to help them inform the decisions they make for their lives and for the city that they want to live in," said BIG on the Kickstarter page. If all goes according to to plan, carbon dioxide smoke rings should be drifting over the Copenhagen sky in 2017. 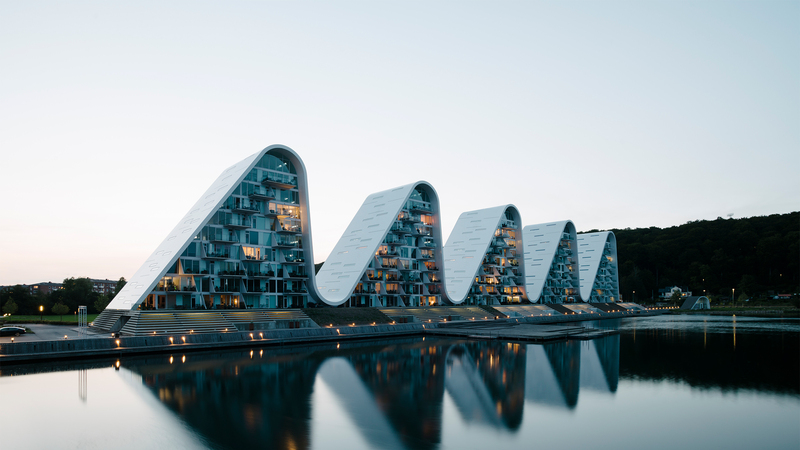 Snøhetta, the New York and Oslo–based firm named after Norway's highest mountain range, is opening an office in Copenhagen. 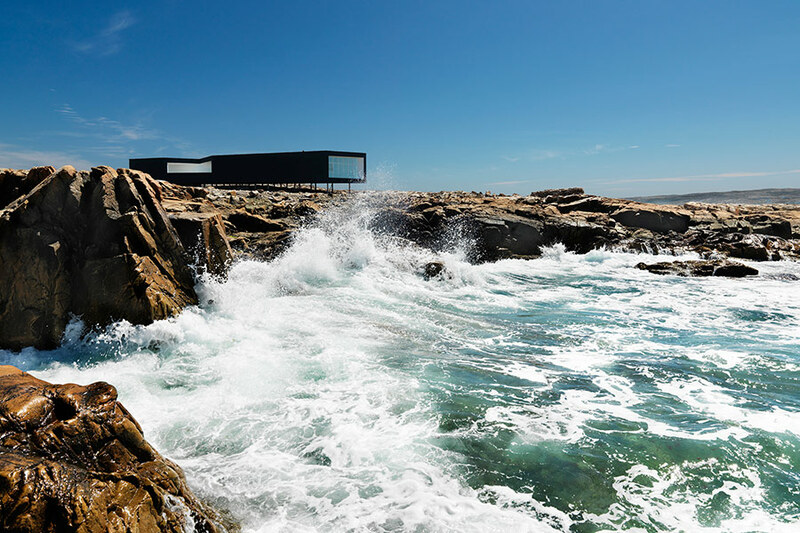 The new space opens on June 18th at the Danish Architecture Centre with an exhibit called World Architecture Snøhetta that invites Danes to come meet the firm. "The core of the exhibition is a sensory workshop where visitors can touch, smell, see, and hear how the many projects develop from concept to concrete work," Snøhetta said in a statement. "In photos and films, visitors are met by the Snøhettas who guide, involve and explain. As something entirely unique, visitors will have the opportunity to step into a virtual model and experience what architects are capable of without the help of technology—namely seeing the physical space on its own." 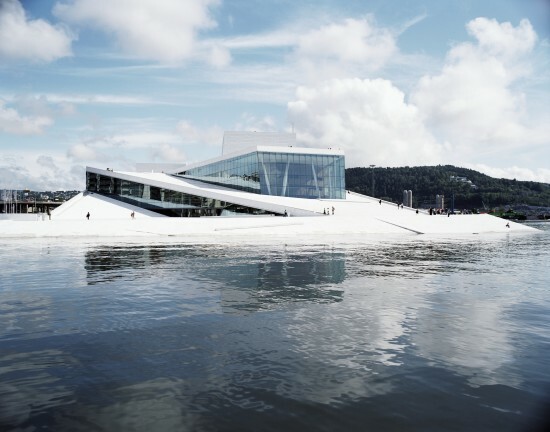 Snøhetta is of course the Big Firm on Campus in Oslo—what, with its popular Opera House and all. 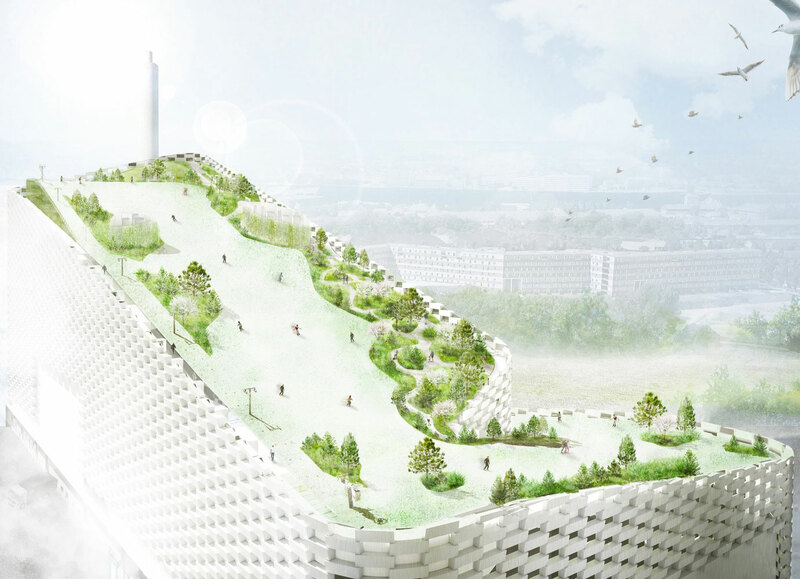 Now, it's stepping directly into Bjarke Ingels Group territory, which itself is well known to use mountainous references in its design. But we're sure the two firms will play nice and, who knows, maybe this will result in some cool collaborations.